Thanks to hundreds of tools that now exist online, it’s easier than ever to create original images and visuals to share on your website and social sites like Facebook and Twitter. According to Wishpond, photo posts on Facebook generated 104% more comments on an average post than those without. In addition, because 83% of learning is visual (according to j6 design), your readers will absorb more information from content with images than from those without. Below are some tips, tricks, and resources you can use to create original visuals for social media and written content. Canva is an easy-to-use free visual designer web app. Once you sign up for a free account, you can choose the format you’d like, from a Facebook cover photo to an image to accompany a Twitter post. Additionally, if you want to use Canva’s premium graphics, they are just $1 each. 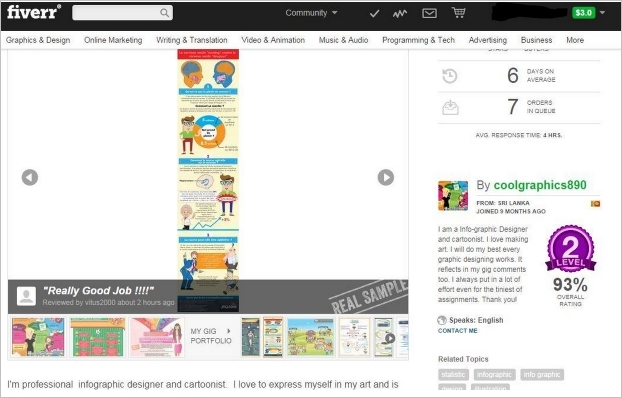 The Fiverr online marketplace has “gigs” starting at just $5 and surprisingly boasts some great designers that can make logos, infographics, and visuals for your online content. You can view actual samples and reviews of gigs that have been completed by the user and even order additional “extras”, like expedited turnaround or the Illustrator or Photoshop file. PicMonkey is another freemium online image designer, and has a lot of great fonts, textures, and graphics to dress up your existing images. The paid subscription offers seasons clip art and illustrations that are modern and have a fresh look, which is helpful for seasonal campaigns. If you want to illustrate your point in a blog post or debut a new feature, an illustrative screenshot may be all your need to get your point across. Use Microsoft Window’s Snipping Tool or a browser plugin like Awesome Screenshot to take shots of your desktop or browser. Awesome Screenshot also allows you to add arrows to your screenshots to highlight what you are trying to show your readers. Screenshots can also cut down on frequently asked questions if the directions could be confusing for some. Portlandia was right: Adding a decorative element to something visual really can make a difference. Use Canva or PicMonkey above to add flourishes to your images to make them standout, whether that be frames, starbursts, or a textured layer. QuotesCover is a great site for creating quote images. Quote images are extremely popular on social media (especially Pinterest) and are an easy way to include an image that isn’t a cheesy stock photo, but adds emphasis to the words of the text. QuotesCover instantly pairs colors and fonts together to create an image that you can customize to make it fit the style of your brand or content. If you don’t have Photoshop or Illustrator but want features that go beyond Paint, try the web app, Pixlr, which has many of the same functionalities of Photoshop, but in a lighter version. You can add layers, retouch photos, and add filters to make sure they are the best version possible. As part of your branding, the marketing and design team should decide on a font or set of font that will be used on all company materials, both offline and online. Most web designers like using Google Fonts as they are accessible to a large number of people and are free to use. Having a specific font that you use on all your visual content will help users subconsciously begin to recognize your content, separating it from others. If you are running low on promotional images to use, check your own company’s files. There may be an inventive past campaign, newsletter, t-shirt design, or giveaway promotion that has great images that you can reuse for your current campaigns. While you shouldn’t use the same images every season, occasionally repeating images can cut down on creation time and design budgets. Actual photos that are taken of your company events or products will have a much larger impact on social media and blog posts, because they humanize your company and allow users to see your employees, products, or services in a more personal light. If you don’t want to hire a designer to make your infographics, give Piktochart and infogr.am a try. Both of these infographic creation platforms are easy to use and offer free and paid accounts, with varying levels of templates, editing capabilities, and custom branding. Another way to use QuotesCover or another image editor is to create statistic graphs or points of interest. A graphic that pulls a statistic out of content makes more of an impact than just the content itself. Similarly, you can use free online graph-making tools like ChartGo to make basic graph images. One thing clothing and decor retailer ModCloth does really well is managing and interacting with their online community, which actively submits actual photos of themselves modeling the items they’ve gotten from the site. This not only helps users see how a dress lays, for example, but it gives the product a chance to shine in a new light, beyond the model and studio background that is used for most eCommerce sites. Encourage your customers to share photos of themselves using your products and promote them on social media or in an article or round-up piece. Using your user-submitted photos, or ones you have on hand of events, employees, or products, make a collage of the images to share. 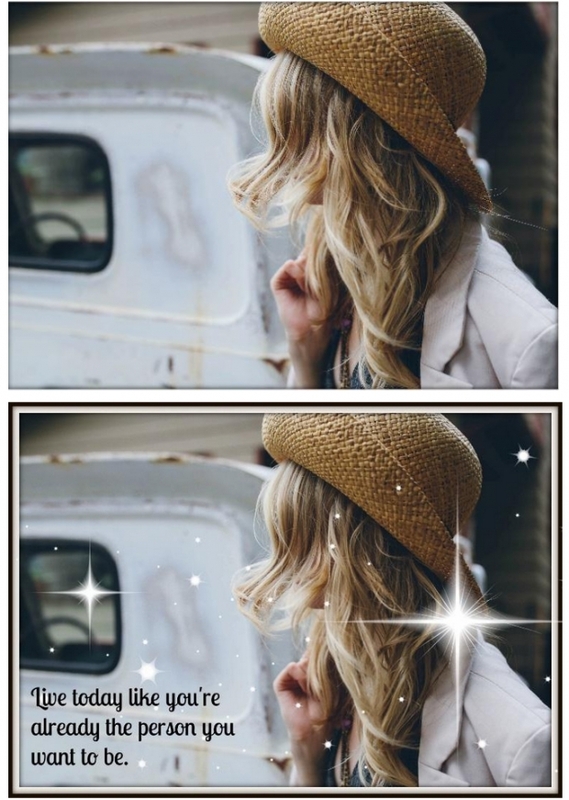 PicMonkey has a collage maker, and BeFunky allow you to add text and backgrounds to collages on their tool. These images can highlight customers, employees, products, or a specific season or promotion. Being creative with your social media and article images doesn’t have to be difficult, especially with the aforementioned free tools and resources. Incorporate original content creation to your regular schedule, and you’ll be increasing your engagement with visuals in no time. The post 14 Tips and Tools to Create Original Images and Visuals appeared first on Small Business Trends.